If I had to tell you what I need more of in my life, it would be courage and grace. More courage to take that leap of faith with my eyes open (instead of squinted shut like a scared little child) and to dream in spite of the humongous possibility of failure. I need grace for those times of failure, when I want to beat myself up instead of starting over…again. Comparison nipped at my heels, and I began to wonder, Why in the world would God give everyone the same dream? And as I looked closer, I realized that while each of us on this God-sized Dream team may want to write, God has laid different plans on each of our hearts and lives. Some are writing about their adoption journeys, some are working through painful pasts, some share through photography…etc. Though our dreams felt the same initially, the details were different because we each lead very distinct lives and have our own unique experiences. Dreams are different because we each lead different lives and have unique experiences. Comparison and insecurity are funny feelings. I have to remind myself that God’s kingdom is big enough for all of us, and being secure in that and knowing that I have a place in His plan is so reassuring. This alone gives me the confidence to keep going. Personally, in my own life, writing has taken a temporary back seat. I decided in the spring to look for full-time work and began scouring the Internet for something that piqued my interest. I landed on Real Estate. I took several months to think about it, pray about it, talk about it, and finally went for it. I signed up for the online course, and for two months I studied and prayed that I would be smart enough to pass. One final and state exam later (passed on first try!) I am now a Real Estate agent. I spend my days getting mentored and learning all that I can so that soon I can confidently list and sell on my own. Have I been scared? ABSOLUTELY. However, God has given me courage on the days I’ve wanted to quit. And the grace to cut myself some slack when I feel overwhelmed. Thank you, Lord, for courage to keep dreaming and grace when I fall down. 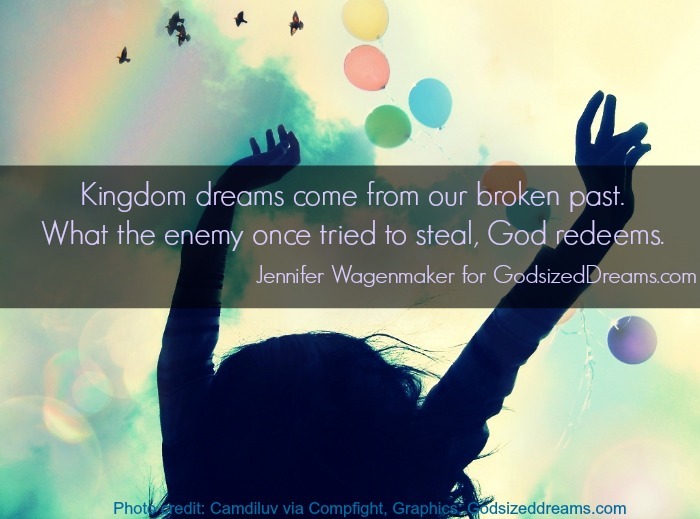 Excited to join @GodsizeDreams for their #DreamTogether linkup! It was the early months of 2011 when I began to feel the pain again. It had been a while for me. Life was spiraling out of control or at least it felt that way to me. I was newly married to the man of my dreams. He had come as my knight and shining armor just a few years before and he was equipped to rescue me from all of my distress. And let me tell you, I had tons! I was a single mom to three boys after going through a divorce at the age of twenty-nine. The details of my past would help to make sense of my wounds but they weren’t as easy of a fix as it would seem. I needed the real thing. My knight would not be able to eliminate the pain of what was still haunting me even if he tried his very best every single day of the year. As hard as he tried, the walls still began to form and the further away from him I went. Only God could heal me. Only God could truly fix the darkness in my soul. He had walked beside me my entire life and only He felt safe to me. Over several months, I spent time in the secret place of His presence and I found true healing. I would never be the same again. The broken places in my heart from my past caused me to seek Him. As He brought me healing, He fueled me with His dream for other broken daughters just like myself. Where do you hurt? What have you been wounded from? What keeps you up at night? 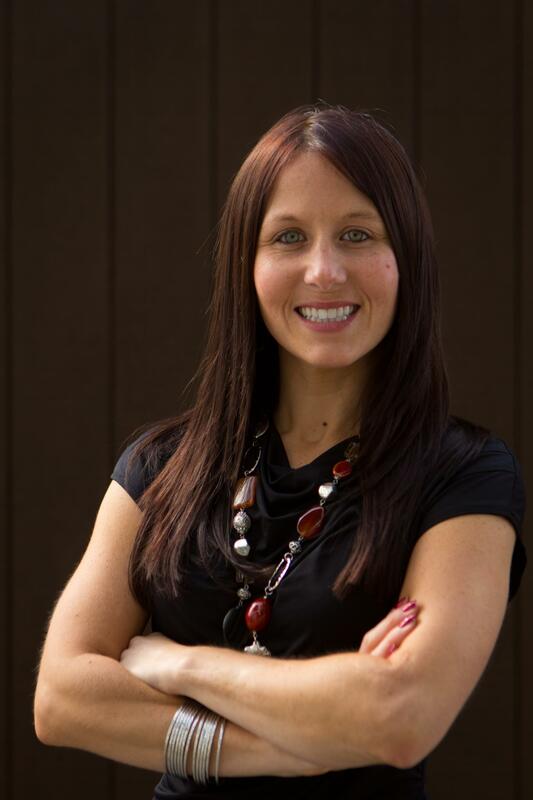 Jennifer Wagenmaker is a sold out, committed, and radical believer of Jesus Christ. As the visionary and founder of a conference ministry called Legacy, she is fueled by the dream deep within her heart to reach women all over the world. Jen has a strong desire to share with others the freedom that she has found in Christ by sharing her own story. She is the mother to five amazing sons, Blare, Andrew, David, Keegan, and Jude. Jen is very active in her church, Jericho Road, where her husband Eric is the worship director. She wrote her memoir called, ‘Becoming: All that God created me to be.’ You can learn more about Jen and follow her on her website. We invite you to link up your God-sized dream posts below. Rather than give a prompt, we’re opening the weekly link up to ALL God-sized dream related posts! 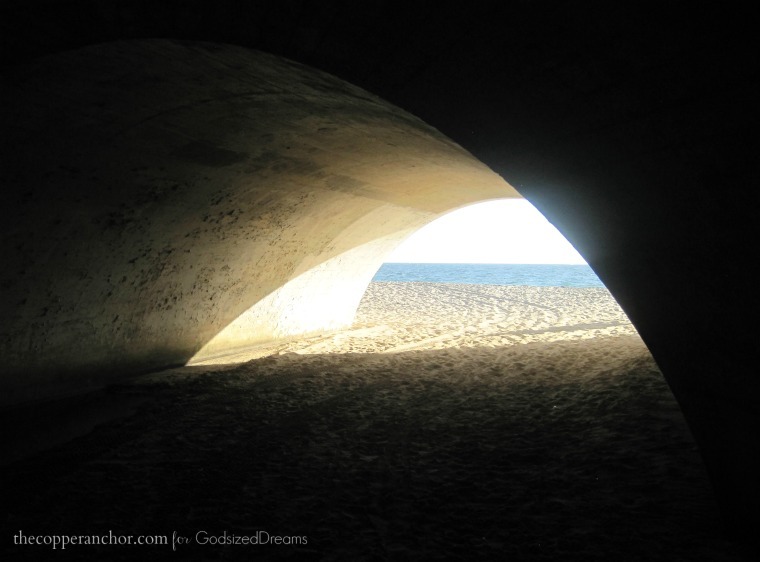 Share your dreaming journey on your blog and link up with other God-sized dreamers. We only ask that you keep the linked posts God-sized dream related and that you link back to this post. Sometimes the only thing worse than failing at your dream is succeeding. It all sounded good in theory. This grand plan. God’s calling. You setting out for the unknown trusting God’s plan and His hand moving you well out of your comfort zone. You stepped out of the boat just like Peter. Peter reached Jesus. Then this happened: “But when he saw the wind, he was afraid, and beginning to sink he cried out, “Lord, save me.” Jesus immediately reached out his hand and took hold of him…” Four things happened in that moment. (1) Peter saw the wind. Have you ever seen the wind assail your dream so violently that you nearly begged to go back to Square 1? That place that was oh so boring but oh so safe. That durn wind. It can nearly knock you over. That’s what happens. You’re rocking along, headed to Jesus, walking on WATER for goodness sake! But then you realize you are walking on water. In the wind. And well, folks can’t walk on the water. On a calm day, much less on a windy one. You look around and try to swallow the stuff coming up in your throat. (3) He cried out to the Lord. Well, you’ve got to give him credit. He failed a little on the faith test there with the fear, but boy he went straight to calling out to Christ for help. How many of us would have just drowned instead? (4) Jesus IMMEDIATELY reached out His hand and took hold of him. Do those words flatten you? Jesus already knew that Peter would fear and would call for help, and He was ready in that INSTANT to take hold of him. He took hold of him. Sister, He is right there. Right. There. A breath from you. Standing by for immediate help. He knows how big this thing is. He knows how scary this thing is – that no human mind can conceive the things God has prepared for her (1 Corinthians 2:9). It is SO good to be brave. To step out and walk on water. But walking on water with the wind pushing against you can be terrifying. We serve a God who gets that. (<==== Click to tweet) He is prepared for the fear too. Cry out to Him. He will have you in an instant. This week we’re writing about Why It’s Okay That You’re Scared Silly. Are you struggling with fear today? Has God stepped in to rescue you from a scary season in your journey? We have loved linking up with you beautiful dreamers for the last few months. We’re going to take a break from this link up for a bit, but have exciting news to share! On Tuesdays, starting April 1st, we are going to feature guest posts from God-sized dreamers. 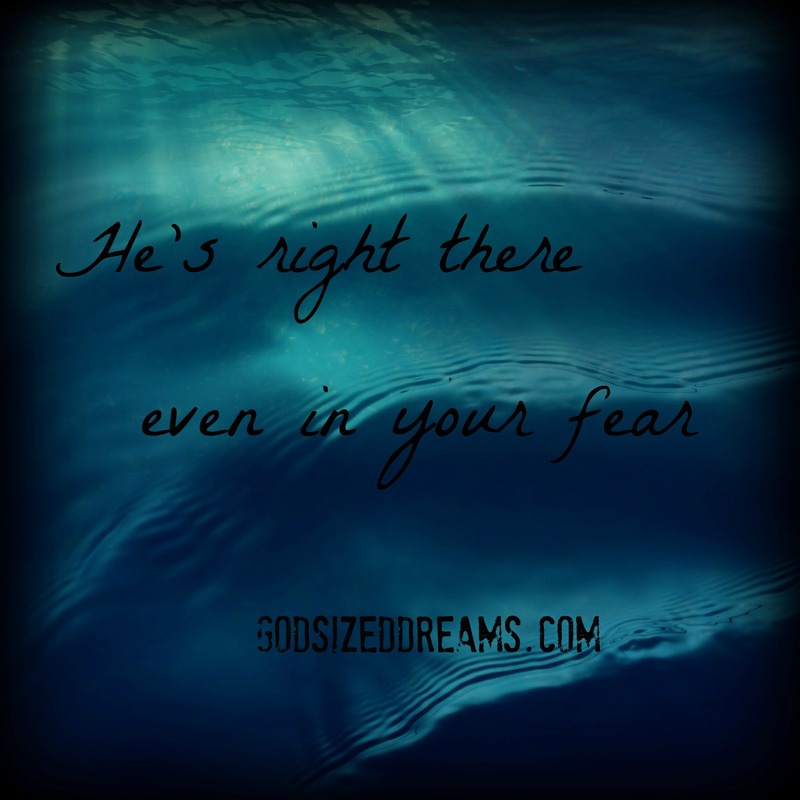 And rather than give a prompt, we’re opening the weekly link up to ALL God-sized dream posts! Would it be really bad news if I told you that you don’t always know whether or not your dream is from God? But I believe this is true. We may have the seeds of a dream growing in our hearts…and God seems to be watering our little sprout. It looks like He’s given us the green light to go forward. We start planning and organizing and maybe gathering a team. Doors seem to be opening. Your little seeds start to bloom. Then boom, just when you think you’re ready to reap a harvest…a drought takes over. And nothing grows!! In fact, it looks like your dream is going to wither and die. How do I know? Yes, my dreams have withered not once, but many times. And just recently too. CirclesOfFaith.org is the home of one of my God-sized Dreams. My CoFounder Kimberly Amici and I have created a place for Christian women of all denominations to gather online and grow together in life, faith, and community. We did a lot of planning. We gathered faithfully for 18 months before we launched. We prayed. We planned. We had a team of five strong women of many different skills and talents. One by one they dropped out for good reasons. Till there were just two of us. Well actually three of us—Kimberly, Me, and God (Kimberly had to remind me of this at the time). We had to choose through prayer and seeking to quit or forge ahead. We believed God said go. We had a launch party. Experienced a steady increase in subscriber numbers, likes, and follows. We went to Allume and learned a lot. 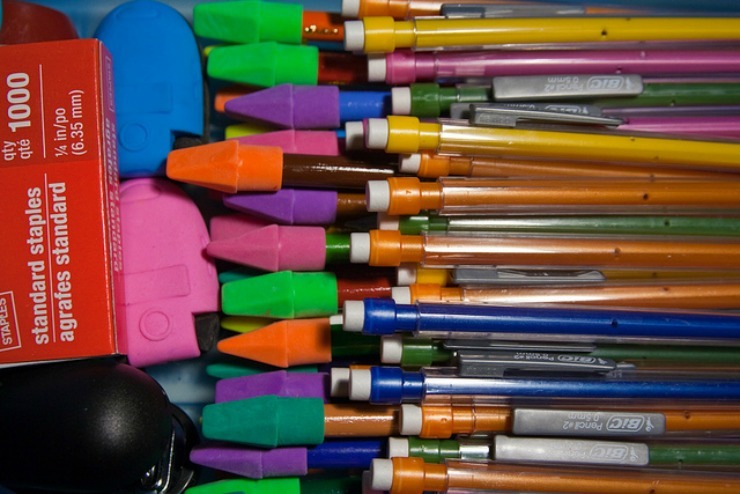 Thanks to a workshop by Ruth Schwenk at The Better Mom, we realized that what we really were was a Contributor/Community Site so we needed a team of regular Contributors. (Lightbulb moment!!) So we went home energized and excited to start building our team…again. We prayed and we asked. And we really had some miracles happen. God was watering our little garden again! One Contributor was wondering why I hadn’t asked and couldn’t wait to write for us and help us with Administration. Another one just happened to be in the God-sized Dream Team book launch group, coincidentally (God-incidentally) lived down the street, and was willing to write and lend us her very much needed strategic skills. And a third, whom I had asked months before to join us at a time when she was too busy, actually texted me one morning early, “I have some time now to dedicate to Circles Of Faith.” WooHoo! We prayed again. We encouraged one another. We reached out to team members for wisdom. And you know, it’s a good thing we didn’t quit! Because right around the corner, there was a fresh vision and some new opportunities awaiting us. And today, I can’t tell you where this all will lead, but I can tell you God’s not finished with us and our dream yet. Where are you in your dream journey? Are you wondering if your dream is really from God? How can I pray for you today? that’s actually OK – and not a sign you should turn back. In what ways has fear affected you? I don’t know if you are anything like me, but life gets busy doesn’t it? Between work and family time, school pick ups and drop offs, church time and quiet time and maybe a workout or two if it is a good week….finding time to “dream” can seem burdensome and impossible. 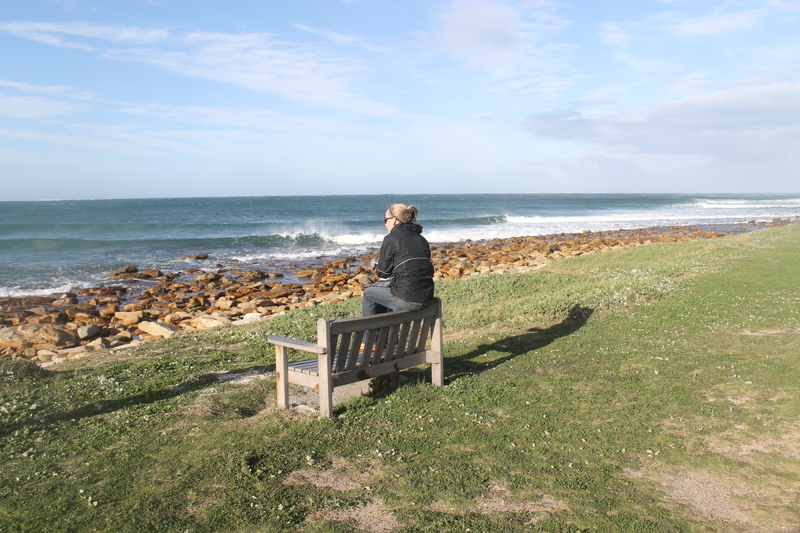 I found myself in that very place recently….having just defined my dream and started a new blog and no sooner was overcome with all it might take to make it possible. I felt the pressure to write and have wonderful content for my readers and I had nothing. So I stopped writing. I took a break and felt like maybe I wasn’t “supposed” to write if I weren’t inspired. I was missing a critical component in my dreaming….I had stopped talking to God about the details. It had become MY dream and MY blog and MY words. No wonder things went stale so fast! When we forget the One who made the dream possible in the first place we can find ourselves chasing our tails. 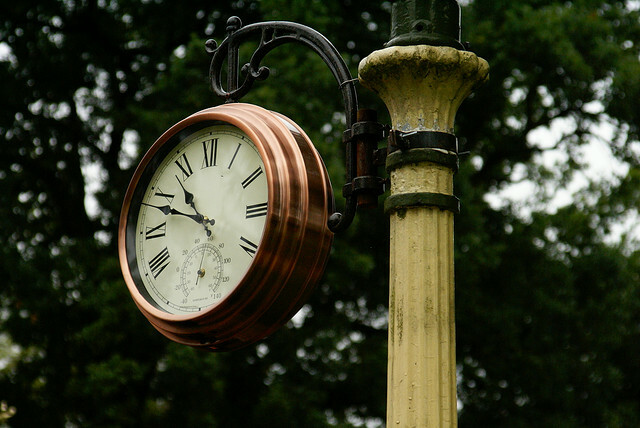 Making time, building it into our schedules WILL take some work. Sometimes it means we have to get up an extra half hour early so we have quiet time to write, or read God’s word. Or as Gindi reminded us last week, we may have to say no to the better right now so we can say yes to His best for our lives later. This God-sized dreaming isn’t promised to be easy….much like our walk here on earth, there will be ups and downs and sacrifices along the way. But ultimately the goal is to use these God-sized dreams to honor God. If we can remember that we are headed in the right direction! What “thing” makes it feel like this dreaming business is impossible right now? 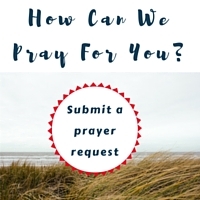 Please share it in the comments below so that we can be in prayer over you!! For next week, we’ll be writing about the times God calls us to lay our dreams down. Is there something God is calling you to release? What have you already laid down? We’ll meet back here next Tuesday and share our posts and comments. God likes to use the unexpected person to do the most amazing things in life. What is the likelihood of a shepherd taking a stone and using his slingshot to kill a 9 foot giant? Yet God did that very thing through the story of David and Goliath. God used the unlikely hero to bring about freedom to a nation. A God-sized dream can feel GIGANTIC and too enormous to fulfill. God-sized dreams often take us out of our comfort zone. Yet, if we stop and take a deep breath, we realize we have all the resources we need to start our God-sized dream. God has been preparing you for this dream all of your life. None of the detours were truly dead ends. There may be a few U turns or 3 point turns, but all the roads are leading to what God planted in your heart the day you were knitted in your mother’s womb. David was destined to be a king, yet he started off as a shepherd who stood on guard to protect his family’s livestock. He spent his days picking out the perfect rocks, practicing his precision with his slingshot, and staring his fear in the eyes. David was prepared to fight off intruders even before he met his over 9 foot giant, named Goliath. The story of David and Goliath taught me three life lessons for God-sized dreaming. As Goliath taunted King Saul and his army to come out and fight him, they were all fearful of the 9 foot giant. They were feeling defeated, yet David believed he could take on the giant. When King Saul suggested David put on his armor, David did at first but it was clear that it was too big for David. Then David did something extremely risky, he went out to fight Goliath with no armor on. Like David, I am not Fashionista. I’m a Tomboy by nature. I don’t wear make-up or jewelry on most days. Jewelry for me is a special occasion item. Yet God has called me to be a jewelry designer because he gave me an artistic eye. Society and marketing majors would recommend that I rock my jewelry everyday but that’s not me. God called me to this God-sized dream which means it’s okay for me not to wear jewelry every day. 2. Focus on the target not the size of the problem. When David prepared to send his rock to Goliath’s skull, he had to focus on where he was planning to send the rock. He had to concentrate on the skull and not focus on the size of Goliath. He had to narrow in on what mattered most, hitting the mark. 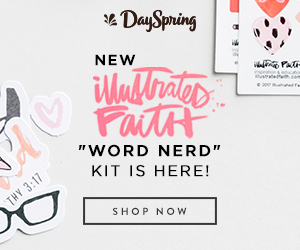 David was fierce and confident in his ability to protect his flock. Yet I can’t imagine the amount of courage it took to use those very same skills to slay a 9 foot Giant. Until I stop and think about my God-sized dream of loving big on orphans. 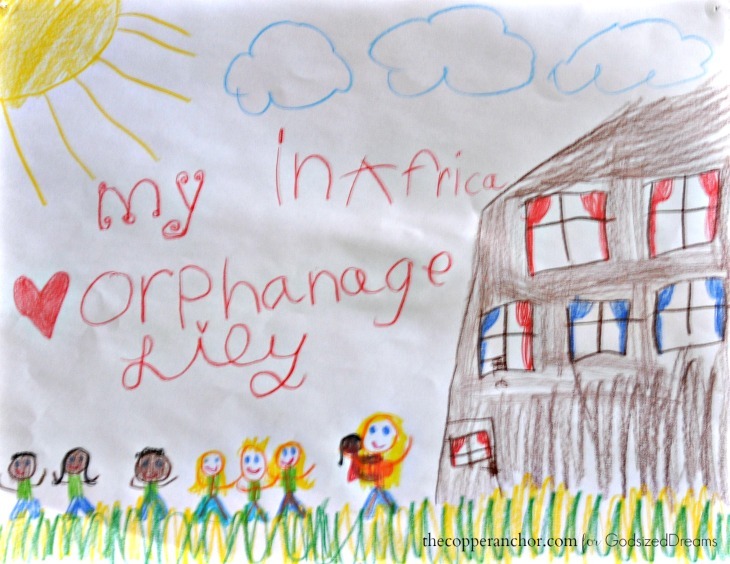 There are over 147 million orphans and abandoned children in the world. When I look at just the number, my giant seems like it is a gazillion feet tall. Yet when I take my eyes off the enormity of the problem and focus on just a child I can serve, the depth in which I can make an impact does not seem insurmountable anymore. Having a dream of connecting with 40 orphans and abandoned children is my way of slinging rocks at the large number. I am choosing to focus on the target and not the size of the problem. 3. You can do incredible things with few resources. Creating new things for Clothed in Love is a labor of love. Especially on those days when I spill beads all over the floor and I have to start again on the jewelry piece. I often pray for God to give me a new design or pattern so I can create something people will buy. I’m a self-taught jewelry designer. I often give God praise for the amazing Do -It-Yourself community who love to share their skills and techniques. I use my hands to honor God. I create jewelry to raise funds for orphans. I use part of my income to support Clothed in Love. I use my free time to work for Clothed in Love. I use what I have to honor God. That’s what did David right? You have EVERYTHING you need to start living your God Sized Dream. You just need to take the first step and trust that God is going to be there every step of the way. Take the first step and trust that God is going to be there every step of the way. This week we’re sharing how we can trust that God’s given us just what we need for our God-sized dream. We want to share your tweets and Facebook posts, so make sure to use #Godsizeddreams or tag us. I have lived the last 30 years of my life…afraid. For the last 18 years I waded through darkness, unsure that the light even existed. You see, my past is a jumbled mess. Only in the last year have I really begun to live, and even then, I wake most mornings and wonder what I’m doing here. How on Earth can I write for a group of women about dreams, when I don’t even have my own figured out? And that’s just it. That’s where the arrow strikes me through the heart and floods my soul with a truth that is greater than my own reasoning. but it seems that God continually chooses the most unqualified to do his work, to bear his glory. As humans we have the tendency to choose the most perfect among us…the natural born leaders, the less risky, the ones that stand out and appear qualified. Yet, He chose the least likely of all to accomplish His will and manifest His glory. Noah got drunk, Rahab was a prostitute, Paul was an accomplice to murder, Moses had a speech impediment, Jacob was a liar, David committed adultery, Martha worried too much, Peter denied Christ, Jonah ran from God, and Lazarus was dead. In reality, He has a plan for all of us. No matter our past, our pain, our mistakes, or our incompetence, He is greater than it all. And no matter what we have done, nothing can stop God from using us to make manifest His glory. Growing up, I was taught that my dreams didn’t count. They didn’t matter. They were a waste of time. So tonight, I sit at the computer, staring wide-eyed at the blank screen in front of me, wondering if any of you have ever felt the same―that your dreams didn’t matter? Last month her Orphanage was going to be in Ireland. The month before, it was in Egypt. And who knows where it will be tomorrow, or what else she will dream of becoming. Some days she wants to be a chef, a professional violin player, or a doctor. But no matter what she chooses, I will protect each and every dream she has and hold her hand every step of the way. And no matter how wild and impossible her dreams may seem, I will encourage and explore every one of them with her. Why? Well, my answer is this: try telling that to Rosa Parks or the Wright brothers. There are hundreds of dreamers and do-ers who have gone before us. Their dreams never came easy and never without a price…but that didn’t stop them. Walt Disney was fired by a newspaper editor because “he lacked imagination and had no good ideas.” He went bankrupt several times before he finally built Disneyland. And as an inventor, Thomas Edison made nearly 1,000 unsuccessful attempts at inventing the light bulb. We live in a cynical world that breeds instant gratification, and defines the worth of a man by the amount of money in his pocket. There is hardly room to dream anymore. We laugh and mock and scorn those who fail. And worse yet, it’s almost an epidemic in today’s society: See the dream…..kill it. And if you don’t extinguish it yourself, you can be sure that someone else will certainly do the job for you. In a culture where we are taught to conform to the normal, to be practical, to fit inside the box, let’s face it―it’s all too easy to trample dreams and ideas, before they even have the chance of getting off the ground. Now my little girl may not become the next Yo-Yo Ma, or Katie Davis, but that doesn’t matter. Dreaming is not about the end result. It never has been. It’s about the process. The steps it takes to get there. The way it transforms your soul, your faith, and who you are. When you take a step in faith and dare to believe that God placed a dream in your heart, or called you to do something wild that utterly terrifies you…the process is nothing less than life changing. It opens your soul, breaks down your walls, and bends your will to match what God intended for you to accomplish all along. So, I pose one question to you today…What dream would you pursue with your life if you weren’t afraid of failure, afraid of the outcome, or afraid that God couldn’t use you? This week we’re giving encouragement for those times when we don’t feel worthy of our dreams. Next week, we’ll be sharing how we can trust that God’s given us just what we need for our God-sized dream. It might not seem like enough at times, but it leaves plenty of room for God to work!